Want to spoil your Valentine this year with some pretty bling or a bottle of beautifully-scented perfume? 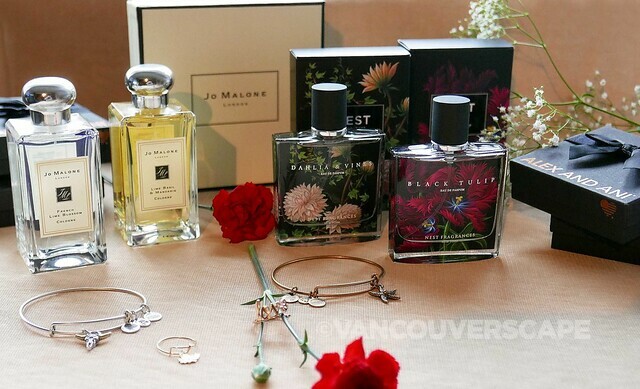 We’ve included a little of both this year: two of our favourite Jo Malone London fragrances, two NEST Fragrances and some pieces from Alex and Ani’s latest collection. All are available online, in North America and globally (because the last thing you need is to hunt down that perfect gift!). 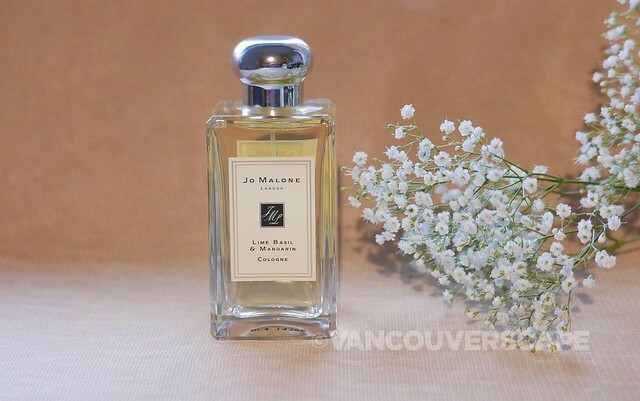 Jo Malone London is well known and loved for their great range of colognes that can either be worn on their own or layered for more subtle, complex scents. I’ve been a fan of theirs for years and lean towards Lime Basil & Mandarin for its zesty, fresh notes while not overpowering when worn. Another gorgeous fragrance in their Light Floral range is French Lime Blossom, with its top notes of bergamot and petit grain; middle notes of tarragon, lime blossom, jasmine, rose and lily-of-the-valley; and base note of beeswax. 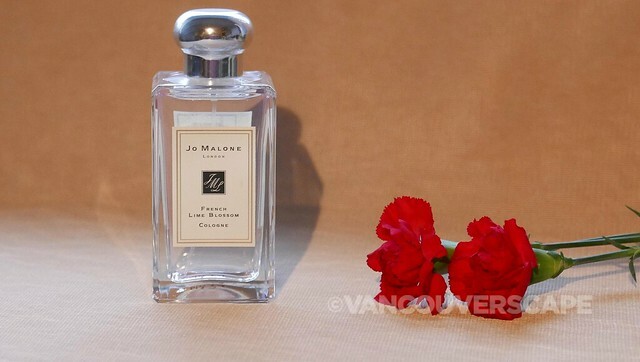 Together, these produce a lively, floral scent with a hint of jasmine, which can be brilliantly layered with Jo Malone London’s Red Roses cologne if desired, perfectly matched for Valentine’s Day! Every one of their products, whether purchased online or in-store, comes beautifully wrapped in a signature box with black ribbon and bow. At 100 ml, Lime Basil & Mandarin and French Lime Blossom retail for CAD $175. A smaller, 30 ml version retails for CAD $90. 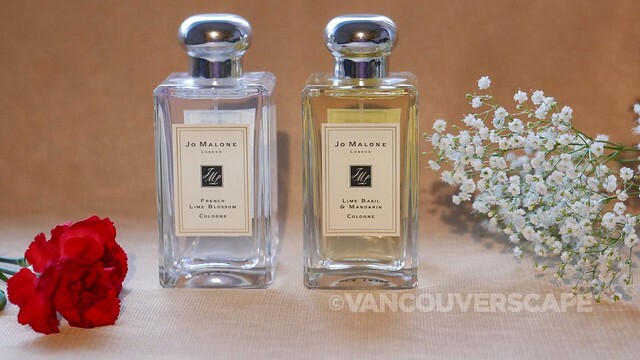 Visit Jo Malone London online for more info. Another luxury fragrance line is by NEST. 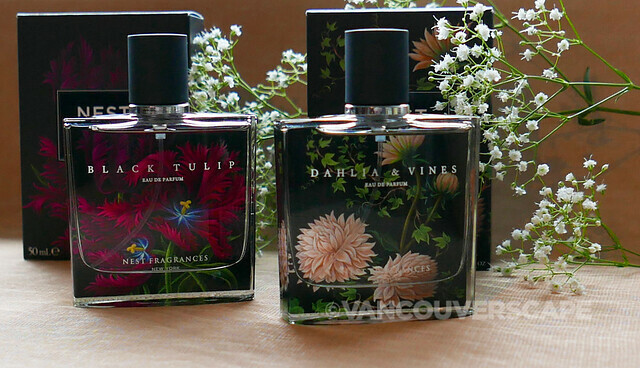 This year I selected – and fell in love with – two of their Eau de Parfum scents: Black Tulip and Dahlia & Vines. In case you’re not yet familiar with NEST, the company was founded in 2005 by Laura Slatkin. Together with her husband, Harry, they’ve earned a global reputation (and industry awards) for their fragrance collections. What began as a home fragrance company has grown to include personal care products, reed diffusers, body washes, liquid soaps, cologne roller balls and eau de toilette sprays. 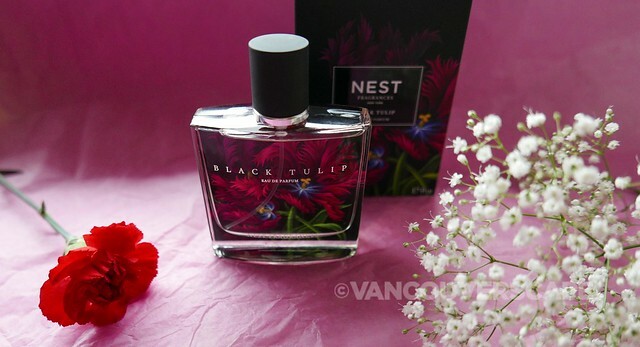 Black Tulip fuses Japanese violet, patchouli, black amber plum and pink peppercorn to create a sweet, yet floral blend that’s gorgeous. Inspired by Laura’s travels to Turkey – as well as flower-covered dress created by the late Alexander McQueen – the sensual scent is captured in a bottle depicting several flowers in bloom on the back, showing through the clear glass, as all NEST Fragrances do. 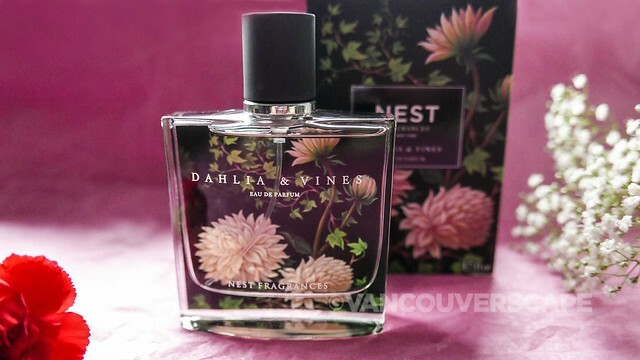 Dahlia & Vines is a light floral combination of peony, rose, daffodils and garden vines, yielding a charming fragrance that’s both elegant and slightly earthy at once. An illustration of a few pink peonies with winding green vines grace this one’s bottle. NEST is available in stores and online at Sephora, retailing for CAD $98/USD $72. 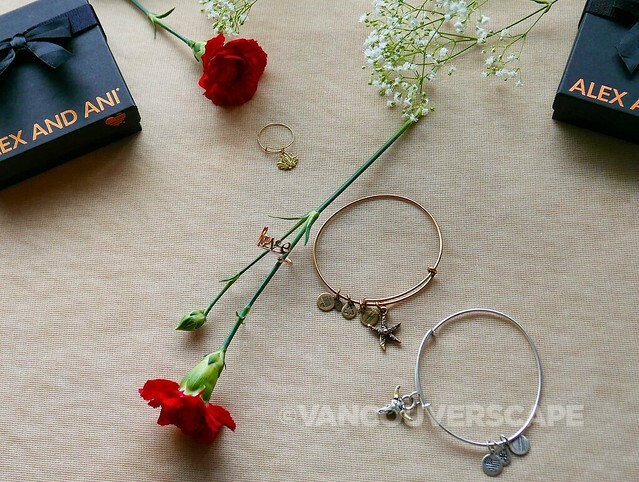 We’re big fans of Alex and Ani’s whimsical bangle collections and found a few pieces perfect for Valentine’s gifting. 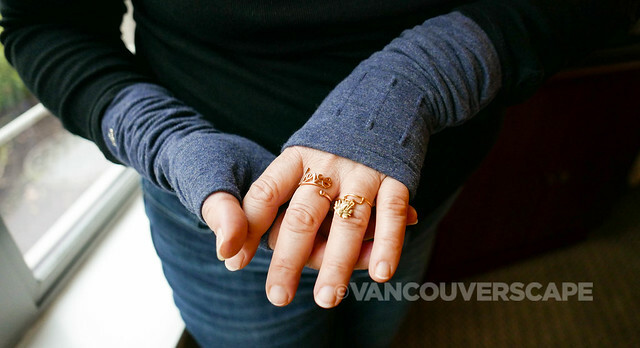 Here, I’ve selected four really fun pieces to surprise your sweetie with on Valentine’s Day. In case you’re not familiar with Alex and Ani, they’re a Made in USA socially conscious jewellery company widely recognized for working with sustainable materials. Can’t go wrong with love on Valentine’s or on any other day! 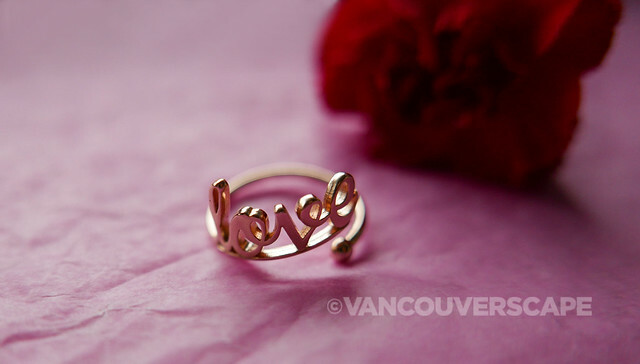 This scripted adjustable ring comes in three varieties: 14k gold plated, 14k rose gold plated and sterling silver. 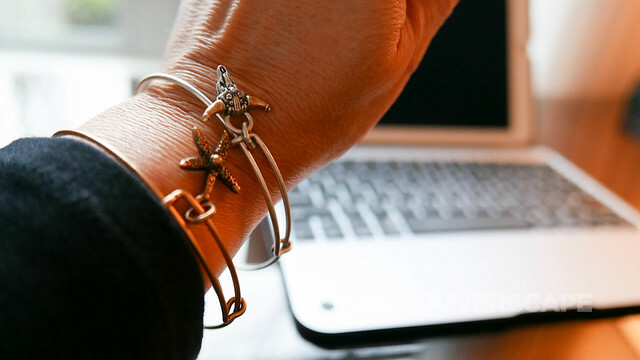 The lotus peace petals is a popular item in Alex and Ani’s lineup. 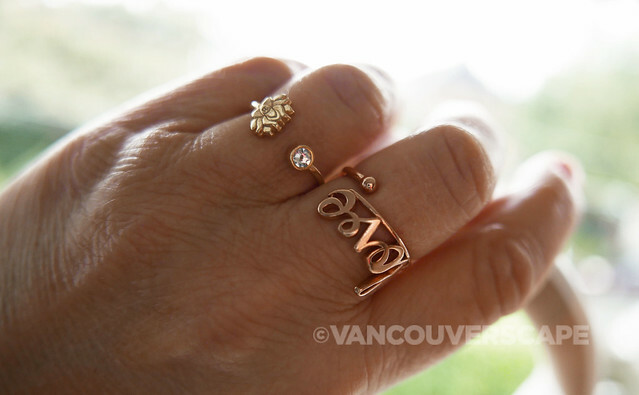 This pretty Lotus Peace Petals adjustable ring sports a little lotus flower inscribed with the harmonious Om symbol in the center. On the opposite end is a Swarovski® crystal. 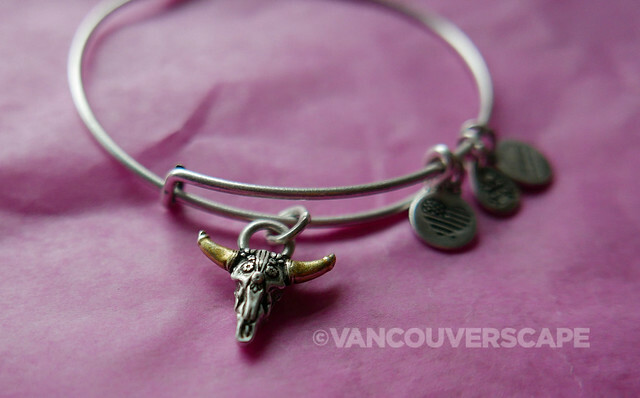 What immediately caught my eye when I saw this online was the gold horns on the silver bangle. The gold version reverses the look with a pair of silver horns. Wearing both versions would look pretty cool too. 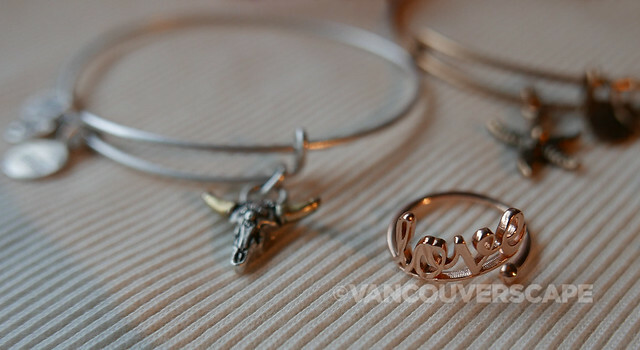 As with all Alex and Ani charmed bangles, there’s a few dangling charms repping the brand including their heart stars and stripes logo. 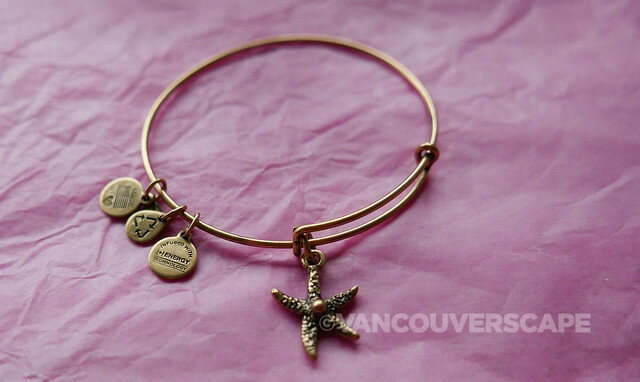 Anyone with a love of wanderlust – or the ocean – will love wearing a starfish on their wrist. This one is also available in both gold and silver finishes. I did notice that the style of starfish varies a bit from the website, so I believe what we received is the most current design. This one also retails for CAD $34/USD $28. Both bangles expand from 5 cm (2”) to 8.9 cm (3.5”). 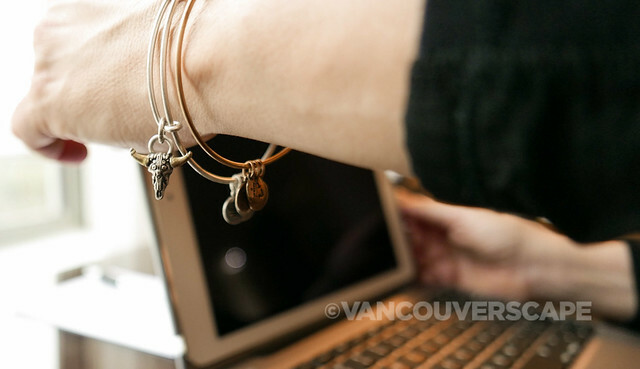 All Alex and Ani products are available online and at both Hudson’s Bay and Nordstrom in Canada.